Today I was travelling to meet my team in Mexico City (one of the many perks of working at Automattic), and I decided to see if I could set up a functional development environment on my new Google Pixelbook. It’s quite a capable machine (Core i5, 8GB RAM) – not quite Macbook-Pro-level, but powerful enough. Plus it has great battery life, touch and pen support, a beautiful keyboard, Android app support and other really nice things. You can even run Android studio on it. So, without further ado – let’s see if we can develop Jetpack and Calypso on ChromeOS! As a bonus, we will add ngrok so that our WordPress instance can be viewed by anyone on the internet. These instructions assume you have some familiarity with Linux and the vi editor. Feel free to adapt them to develop your own WordPress plugin or node app. ChromeOS supports running Linux in a container – but only on Pixelbooks right now, and only on the “developer channel”. Just follow these instructions. Once you’ve installed Linux, you simply get a Terminal icon in your App drawer. Clicking it boots Linux and opens a Bash shell. Woohoo! This Linux is a lightly customized version of Debian 9 (Stretch). Most of the customizations are to support the Wayland display server for the Linux container. As always with Linux, it’s worth doing an sudo apt-get update && sudo apt-get upgrade to make sure everything is up-to-date. This is my preferred editor. You can follow the Debian (Stretch) instructions on the VS Code web page. Once you have install VS Code, you can edit the files in any directory using the command code /path/to/directory. For the unfamiliar, Calypso is the user interface of WordPress.com. It’s a beautiful, fast and responsive replacement for wp-admin, which talks to your site via the WordPress.com APIs. It’s built using node, with a user interface powered by React. I personally put my repositories in a folder called `workspace` under my home directory. We need this in order to build Calypso. Follow any prompts from the install script, including installing Node 10. The Debian Wiki has official instructions, which I have summarized here with light customizations. As you may know, WordPress has just three dependencies: PHP, Curl and MySQL (aka MariaDB). Follow the prompts to set a MySQL root password and disable remote access. I have taken the following config from the Debian instructions, but set the ServerName to “penguin.linux.test” (the default address for the VM) and add a ServerAlias directive with something like “myspecialsite.ngrok.io”. This will allow us to connect Jetpack later, when we install ngrok. Also note that we added define('FS_METHOD', 'direct'); so that we can update plugins using the regular WordPress update mechanism – otherwise WordPress will prompt you for an FTP password whenever you update. Now create a one-time SQL script for creating the DB (remember to match the password here to the one in the config file above). The command should complete without errors. Hooray! Ok – now you should be able to go to http://penguin.linux.test in your browser and see the famous 5 minute install! Follow the prompts and you have WordPress running. Yay! At this point, we can remove the old akisment and twentyseventeen symlinks and use wp-cli to install them again (so they can be auto-updated). In order to connect Jetpack, our WordPress install needs to be accessible on the internet. To do this, I use ngrok. Head to https://ngrok.com/download and copy the link to the latest Linux amd64 build, then unzip it. Now we need to activate ngrok. If you head to ngrok.io and log in, then you should be able to copy the “Connect your account” command (careful of that leading ./) and activate your ngrok install. Now go to http://goldsoundschrome.ngrok.io and see your site! There’s one wrinkle here – if you attempt to authenticate or connect to your site externally, it will redirect to penguin.linux.test. Now head to http://goldsoundschrome.ngrok.io/wp-admin (or whatever your address is) and log in, then follow the prompts to set up Jetpack. This actually works pretty well. Developing on my Pixelbook feels really fast and snappy (and it’s not the highest-end model, either). I honestly didn’t notice an enormous difference between the Pixelbook and my Macbook Pro in terms of performance. Display scaling issues for Linux apps need to be tuned – some are teeny-tiny (xterm), some are middling (Visual Studio Code) and some are normal-sized (GTK apps like the Package Manager). Overall, it’s a perfectly functional system for developing WordPress plugins, themes, and node apps. It has tons of battery life, great security, and thanks to the Linux mode it has access to all the useful software you can think of. Daniel Walmsley is a Team Lead at Automattic, mainly working on partnerships. He loves working from home in beautiful Nevada City. Sometimes, automated end-to-end (e2e) tests fail and it’s difficult to tell why. Screenshots and stack traces are useful, but video of the actual test running in the CI environment would also be helpful. That’s why we recently added video to the automated tests we run in CircleCI. We are now able to see everything that occurred during the test and can quickly debug issues that would previously require more investigation. Any time we run our full automated e2e test suite, we make a video recording of every test. If the test passes, we delete the video. If it fails, we keep the video, and it’s returned as an artifact in CircleCI. We also output the path of the video file so it’s easier to find the file that corresponds to the test that you’re looking at. We are currently only making recordings when running the full suite of tests; we don’t record the “canaries” to avoid adding additional overhead to simple test runs. Start an Xvfb session on a display that is not already in use. Start a recording of the display using FFmpeg. Run the automated test in Chrome. There is a --display parameter that allows you to specify which display to run the test on. Stop the FFmpeg recording when the test is completed or has failed. Feel free to check out our e2e tests repository, make a fork, and give us your feedback or suggestions. Pull requests are always welcome. Brent Sessions is an Excellence Wrangler for Automattic working to provide tools and technology to help developers improve product testing. Anyone familiar with developing web applications knows how tedious it is to test code changes made by your peers. Whether it’s a designer learning how to build and run a local server, or even a developer that needs to stash local changes and wait for a server rebuild, testing changes is a major workflow interruption that can mean minutes of thumb twiddling. 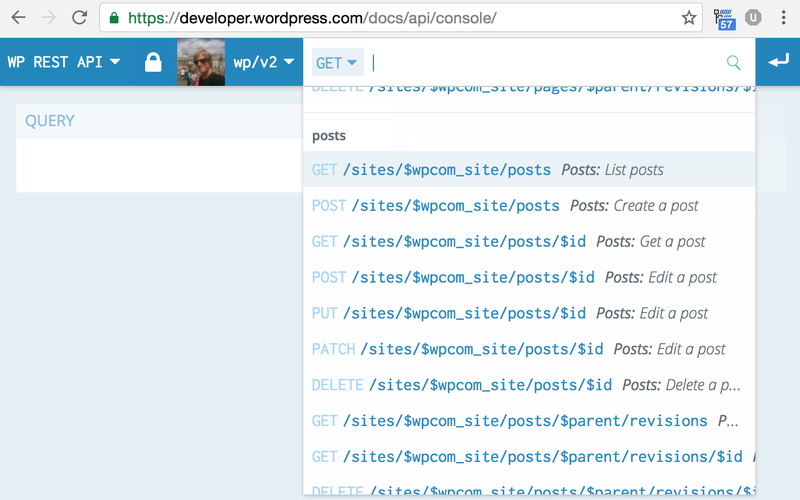 At WordPress.com, we’re proud that we’ve made testing in-progress work a quick process that’s as easy as sharing a url. Once the server is done building, it presents you with a version of Calypso corresponding to that branch of code. This makes it easy and quick for developers to review functionality and designers to review the look and feel, all without having to manage local development servers. One piece of good news is that you usually aren’t the first to access a branch. That’s because our automated tests actually rely on these cloud-hosted branches to test against. Assuming a container is already running for my-branch, dserve proxies the request to the right container — very similar to how a load balancer sits in front of an array of servers and proxies the request. Feel free to check out the dserve repository, our e2e tests repository, or wp-calypso, make a fork, and provide us with any feedback or suggestions. Pull requests are always welcome. Jake Fried is a Software Engineer at Automattic, mainly working on Calypso. We’re happy to announce that we’ve open-sourced two projects last week: Delphin and its sibling, Delphin Bootstrap. Delphin powers get.blog, a site we built for a smooth registration of .blog domains. Delphin Bootstrap is a portable development environment for Delphin — it makes getting Delphin up and running easy on any operating system. One of Delphin’s main goals was to simplify the process of registering and managing a domain. We’ve focused on the user experience, trying to avoid as much industry jargon as possible, while keeping in mind that purchasing a domain is just the first step in the journey toward a larger goal, like telling a story or selling products. Delphin is a web application that uses parts of the WordPress.com API, as well as a few more specific endpoints built on the new WordPress REST API. Like Calypso — the WordPress.com front end — it is based on technologies such as React, Redux, and Webpack. We also used Delphin as a platform to experiment with new technologies including Yarn, Jest, CSS modules, and React Router. Some of these experiments will make it back to Calypso. Yarn is a fantastic package manager. We had a few hiccups when we integrated it with CircleCI, but it now works smoothly. CSS modules was a great addition to this project, as it makes it possible to use semantic names for the CSS classes of components, instead of coming up with a convention to prevent namespace collisions in a global stylesheet. We ended up using a lot of wonderful tools and modules shared by the community. At Automattic, we’ve been open-sourcing code for more than a decade now, and have more than 350 repositories on GitHub. We’re excited to add Delphin to this list, and welcome contributions, feedback, or reported issues!